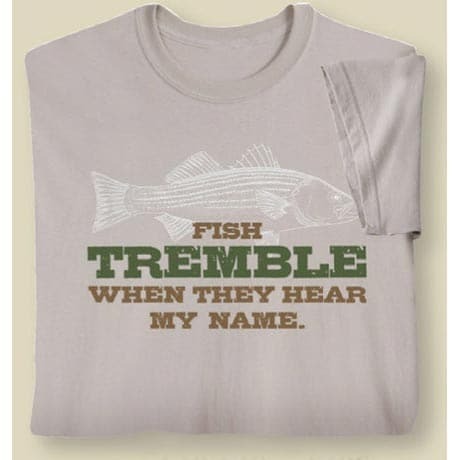 Fish TREMBLE when they hear my name. 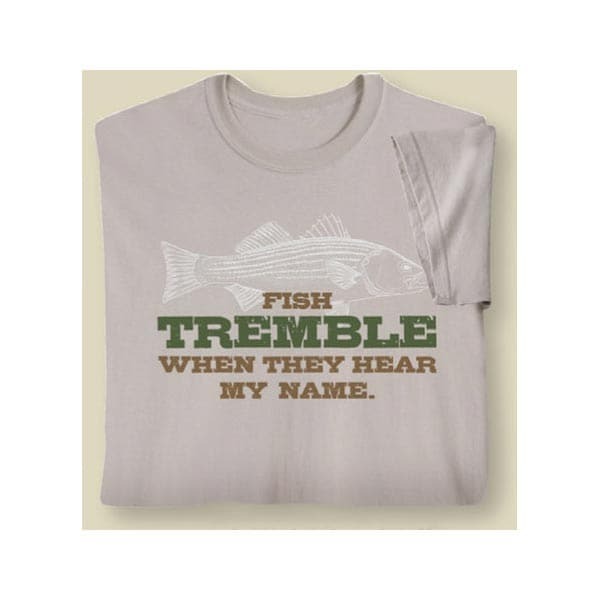 printed in green and brown with graphic image of a white fish on your choice of a tan, 100% cotton T-Shirt or a 50% / 50% cotton poly Sweatshirt. Printed in the USA on imported shirts.